While I am committed to finishing the butterfly kaleidoscope stars quilt top, I was really feeling the need to work on something else for an evening. Sticking with just one project is unusual for me. Doing it basically twice in a row? Pretty much unheard of! As much as I love finishing a top, I’m much happier flitting from project to project. I made another one of these wonderfully tiny and impossible to resist Patchwork of the Crosses blocks made with the .50″ Inklingo 90-degree hexagon collection. I love the effect a little fussy cutting/printing adds to the centre of these little gems. And now there are two. And there will be more, all with centres from the same fabric. I’m already pondering what the set of tiny blocks might become. Now for the fabulous news. I’ve been a follower of Wendy Sheppard’s Ivory Spring blog for a long time. 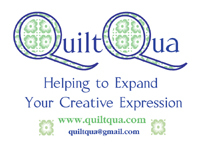 Over the years, we’ve exchanged lots of late night e-mails, many to do with quilting and an equal amount to do with cross-stitch samplers. 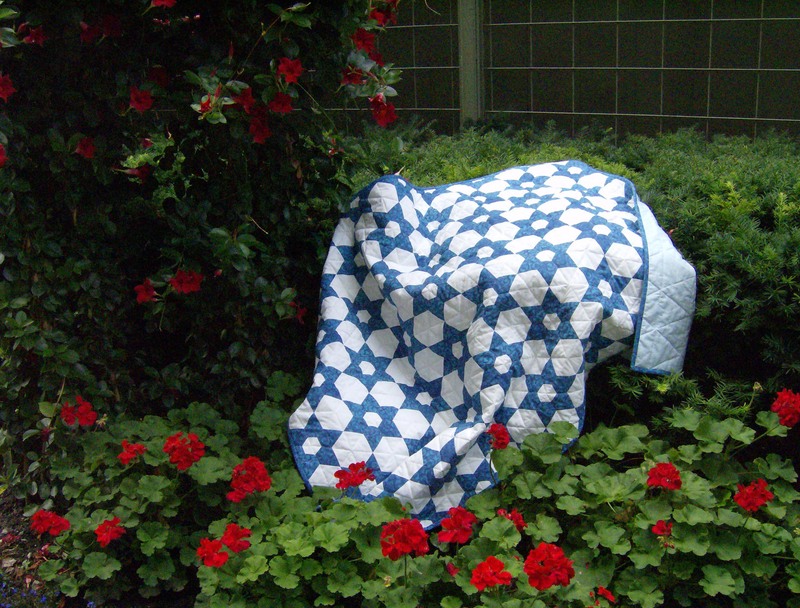 I was absolutely thrilled to read on her blog last night that she has a book coming out soon called “Recreating Antique Quilts.” If you’ve never read Wendy’s blog, she has many, many quilt patterns in a huge number of quilt publications, all featuring the most amazing machine quilting she does and all on a domestic sewing machine. 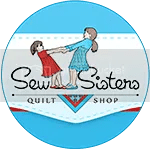 Wendy shares loads and loads of tips and tutorials on her blog too – there’s a wonderful series on machine quilting. So I can’t wait to get my hands on a copy of the book to see which museum quilts Wendy chose as her inspiration and the projects she has made with her versions of those museum quilts as well as how she has quilted them. To all my friends and readers in the U.S., have a very happy 4th of July celebration. Looks like the little ones are all prepared as soon as they get the word to move forward. Love the tiny patchwork of the crosses. Congrats on the baseball games. I was nervous just knowing you were watching and I am not really a sports fan. But am one of your stitching fans. Have a great day. What a great picture of the kitties! Wow, those are weeny little pieces – and the finished blocks are so cute. I LOVE those blocks! And thanks for the preview of the new book, sounds exciting! I read Wendy’s blog as well, and she has been so gracious to answer my email inquiries concerning domestic machine free motion quilting. Wendy has a generous and sweet soul! The tiny blocks are TOO cute!!! Your little blocks are so cute! Didn’t know Linda had this size in POTC, too cute.